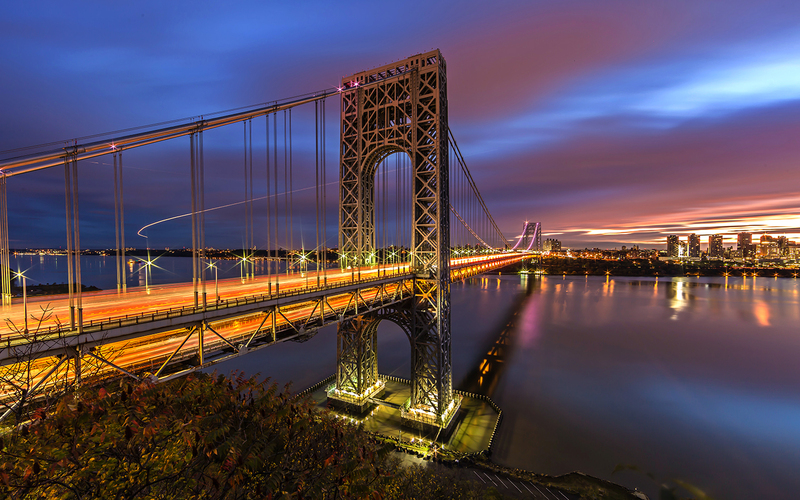 This is a 99 second exposure of the George Washington Bridge. Taken just before sunrise from a park in Fort Lee, NJ. Another panorama attempt of the Manhattan skyline. Three horizontal, long exposure images taken from the Manhattan Bridge during sunset. 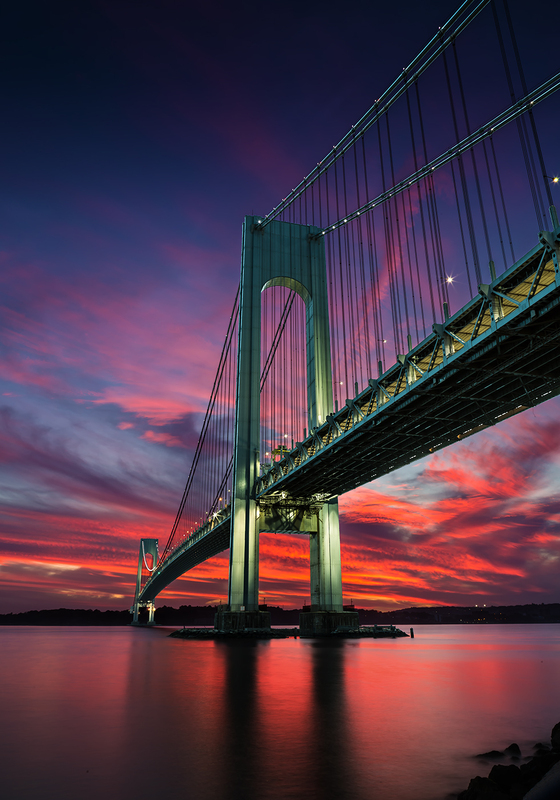 Caught a brilliant sunset behind the Verrazano Narrows Bridge in New York. Taken from the Brooklyn side in a park long side the Belt Parkway. 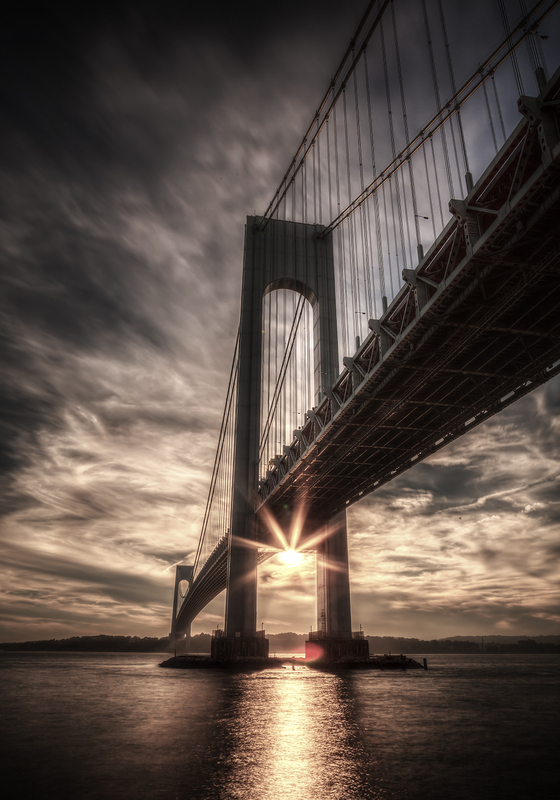 HDR image of the sun setting behind the Verrazano Narrows Bridge, taken from the Brooklyn side. 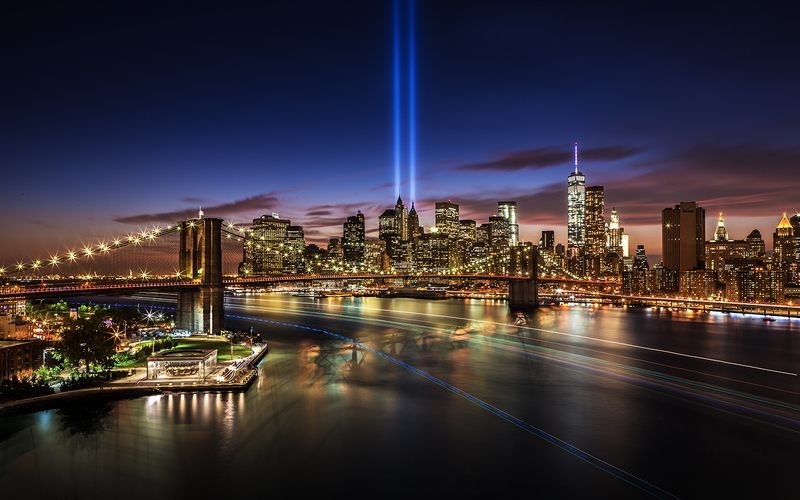 Long exposure image of the September 11th Tribute in Lights in Manhattan. 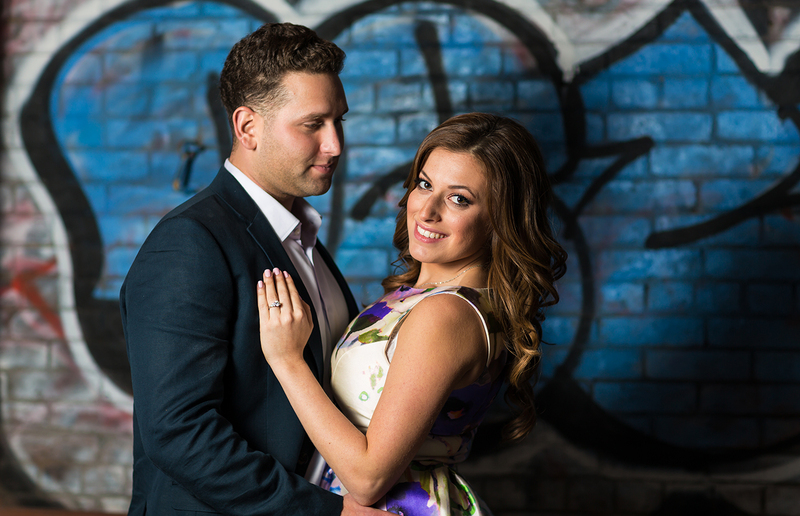 Image was taken from up on the Manhattan Bridge. Was a great view from up there and plenty of photographers showed up that night. On the way out of Brooklyn, the thunderstorm overhead was starting to lighten up. 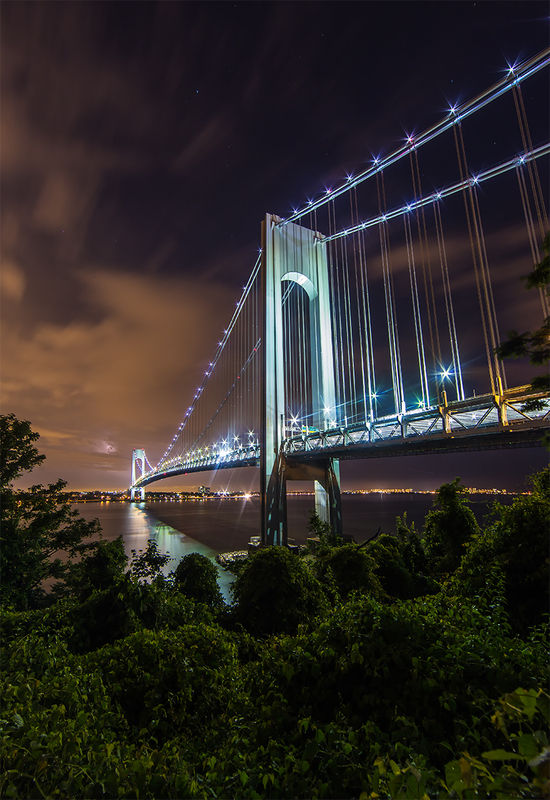 So we stopped at Fort Wadsworth in Staten Island to try and capture a nice view of the Verrazano-Narrows Bridge. 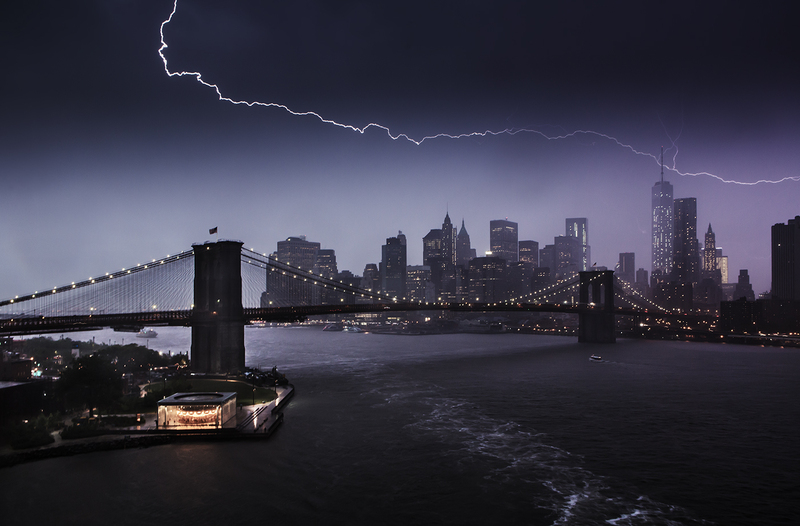 Was lucky enough to grab this image of lightning flashing over Manhattan during a quick photoshoot on the Manhattan Bridge during the Memorial Day weekend. Rain was starting to get heavy and there wasn’t any cover to attempt more chances.